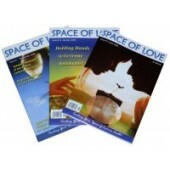 Back issue collection of Space of Love magazine (SOL magazine) was publishing from September 2008 to November 2012 (13 issues in total) as a source of news and views, a space of inspiration and a guide in co-creating a Global Space of Love. It was inspired by the incredible wisdom and vision of a young, beautiful recluse living in the wild of the Siberian Taiga, Anastasia, and a courageous business-man-turned-author, Vladimir Megre (described in the Ringing Cedars of Russia book series). The mission was to share writings and ideas which help humanity to transform the inspiring vision of a planet full of literal and metaphoric Spaces of Love into millions of small plots of self-sustaining Family Food Gardens, little paradises, all over the planet. Covering wide range of vitally important topics, from Eco-village living and Permaculture to forgotten ancestral knowledge and non-conventional education, most of the articles published in the back issues are timeless and still relevant to eco-village people, off the grid and sustainable communities, as well as to those interested in spiritual development and alternative education. Click on the link to get SOL magazine Issue #1 for FREE ! Get a copy in PDF for FREE! ..
Click on the link to get SOL magazine Issue #1 for FREE !.. Click on the link to get SOL magazine Issue #1 for FREE ! ..
Space of Love magazine (SOL magazine) was publishing from September 2008 to November 2012 (13 issues) as a source of news and views, a space of inspiration and a guide in co-creating a Global Space of Love. It was inspired by the incredible wisd..